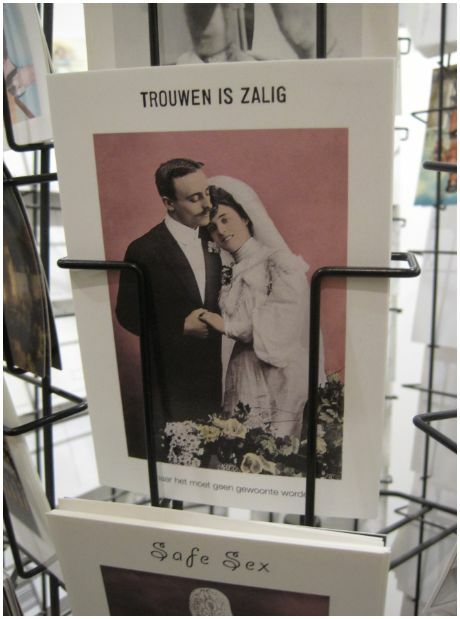 Most of the time I work as a journalist for several magazines in the Netherlands. This morning I discovered that I’m not really promoting my work as a journalist – more as a hotspotter. 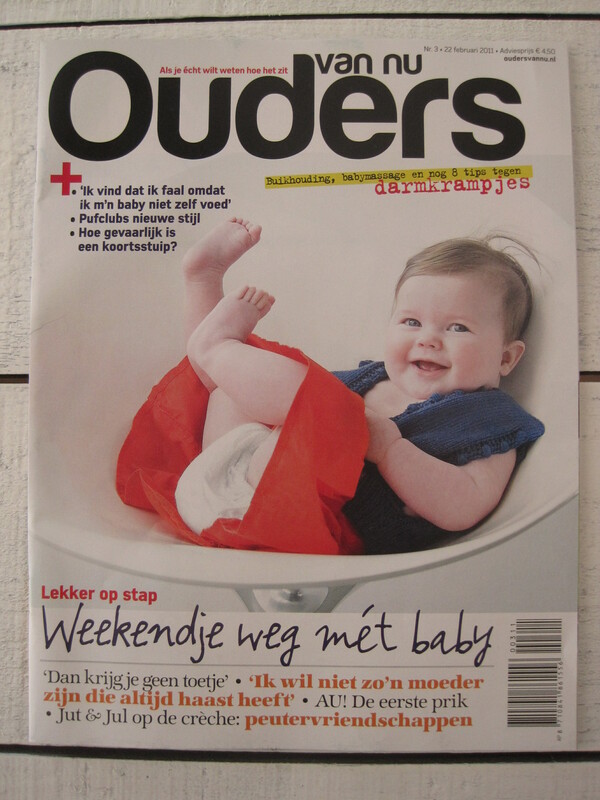 Last month I worked together with Anne Timmer for Ouders van Nu. She’s a photographer (we went to Mexico together for LIV’) and had just become a mother of James (5 months old). She’s the perfect example of a parent who doesn’t stay at home and ditch her travel virus in some box in the attic to never come out again. She and her man just take James and let him see the world. So this story in Ouders van Nu works as an inspiration for all of you travel lovers with kids to just book a citytrip and take your little one with you (oh, and there’s a great offer of the Townhouse Hotel in it as well). Because it’s a perfect wedding location (and my sister will kill me for giving this away). 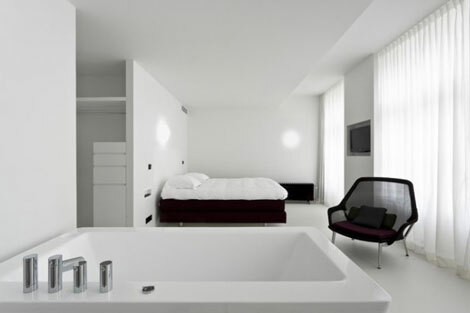 There’s only one modern suite and that’s the pictured one (185 euro per night). If you’re having dinner at Sofa and don’t want to drive back. 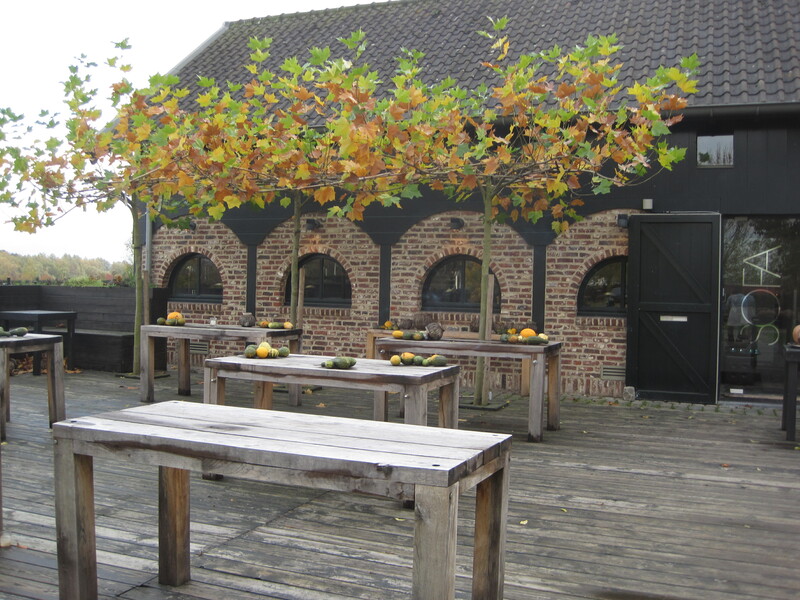 It’s located in the small harbour of Maastricht – 5 minutes with the car from the center of the city. The surroundings are beautiful – there’s even a castle next to it. When we visited there wasn’t anybody at the restaurant (saturday afternoon). So I think it’s better to go there at night. They have 2 area’s: the restaurant and the brasserie. The restaurant is too stiff, so go for the brasserie. And don’t order the bitterballen because the chef hasn’t heard off the phrase: ‘ cooling it down before you give it to the customers’. Our mouths were screwed up for 8,50 euro. Anyway: I’m still curious how the food is at night (and if there are any people). Everything in here brings a smile on your face. I quess the owner only search for things that makes her smile. And brings it all together. 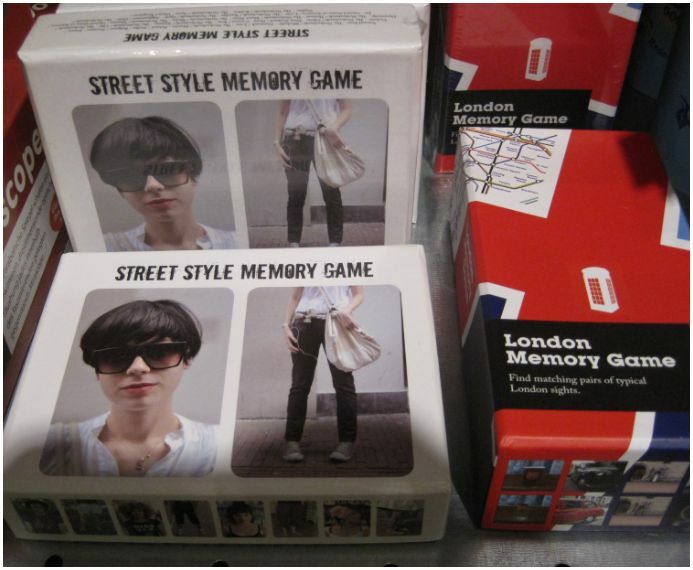 I spotted a gun vase, funny cards, a streetstyle memory game, lovely shirts for children and a lot of other things. Be prepared to spent at least 20 minutes scanning all her novelties. The interior is not design at all: she even has dressdolls in her store which are a bit creepy. But it’s a perfect address for presents. Well, isn’t it obvious? Shoes. The most beautiful pairs of high heels, boots and sneakers are presented here. And in a completely different way we’ve ever seen. 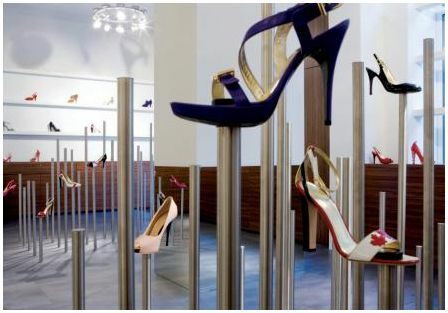 They’re standing on metal poles (with magnets in them to keep the shoes in place) – as if they are gliding in the air. The sell extraordinary brands like Christian Louboutin, D&G and Stella McCartney. I’ve spotted brown boots with a extremely high heel from Yves Saint Laurent: I’m not surprised if I see Victoria Beckham on them. (Oh, sometimes they open an outlet at the other side of the street). If you love the color white in combination with black. Just like this hotel in Copenhagen. 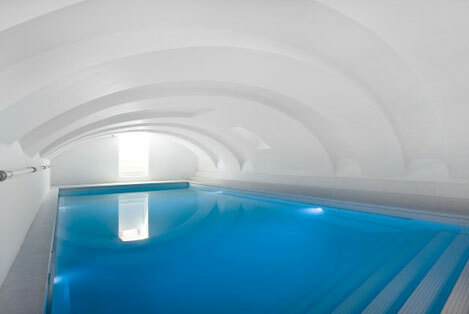 If you want to dive into a swimming pool. If you like bathroom amenities from l’Occitane. The interior. Award winning. 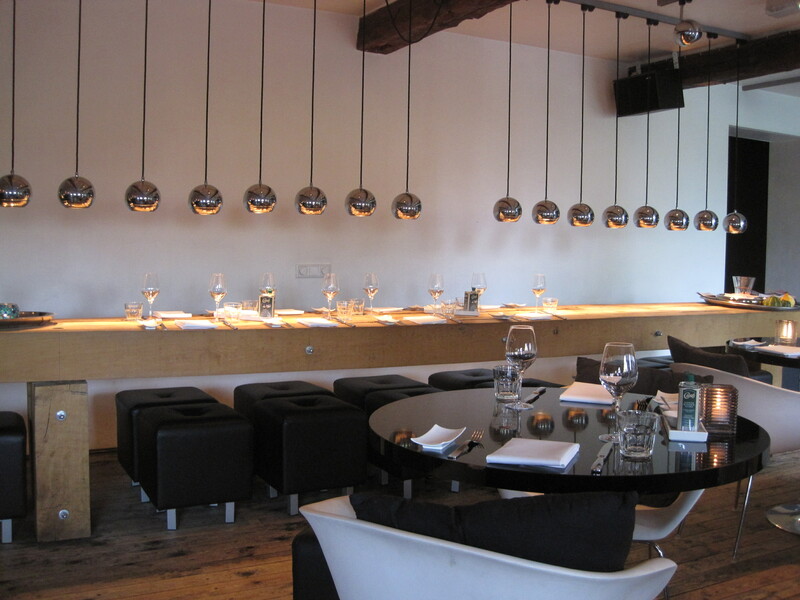 But I have to tell you that it looks quite different (than the press images) when you walk in. Tablecloths and a funny menu on the table. 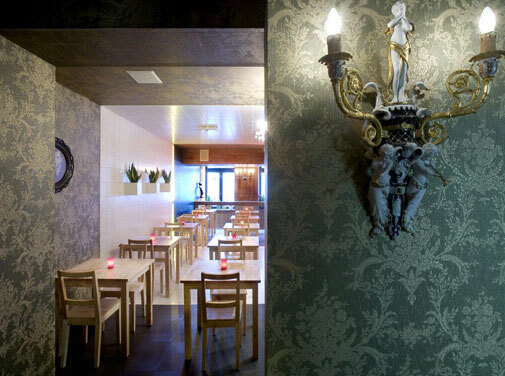 A typical Belgian restaurant where the waiter makes jokes and you can easily bring your kids. You will even find a Manneke Pis in the restaurant. 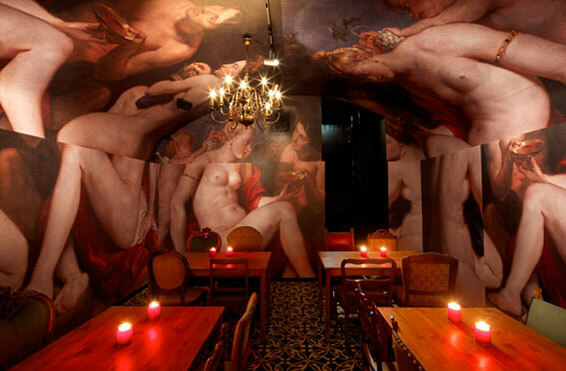 New is the basement: designed by Maurice Mentjes (who also takes credit for the rest of the interior) and is inspired by the Sistine Chapel in Vatican City. The Blanche Dael coffee packaging is beautiful. But unfortunately I forgot to take a picture of it and I can’t find anything on the internet. So you have to see it for yourself. There are several Coffeelovers in Maastricht (only in Maastricht): two in the area called Wyck and one in the Dominicanen church. Definitely a good spot for a cup of coffee – or tea. 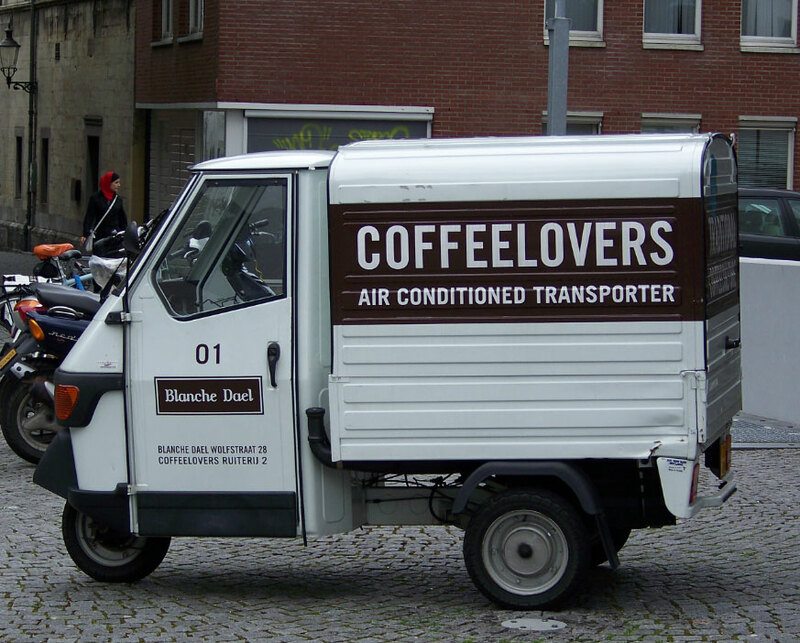 When I visited Maastricht in 2008 I spotted this cute little car. 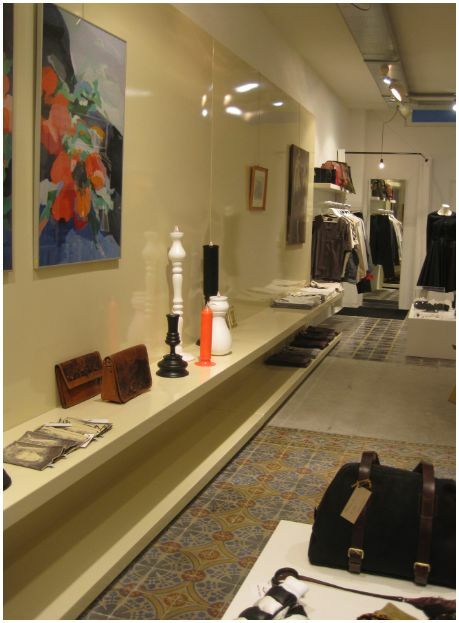 They sell work of young designers. 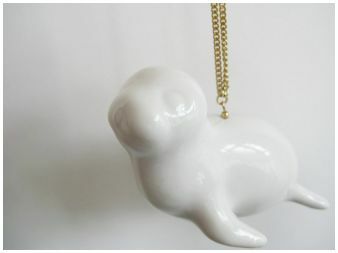 I fell in love with a necklace of a relaxing frog of Studio Ruig. On their website I didn’t find a good picture of the frog, but I like this sealion as well (59 euro). I also spotted some beautiful bags and funny gloves. 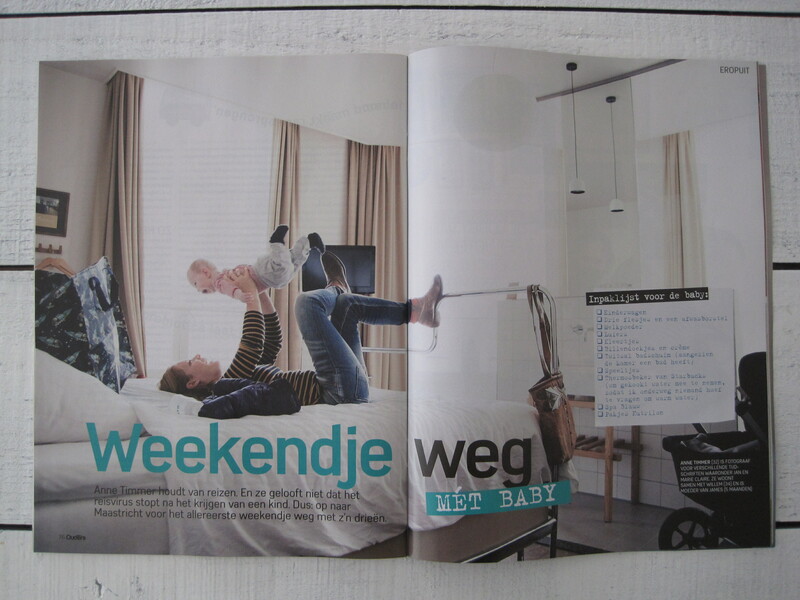 Other brands: Nora/Juliette, Ellen Benders en Garderob. They organise fashion events as well. 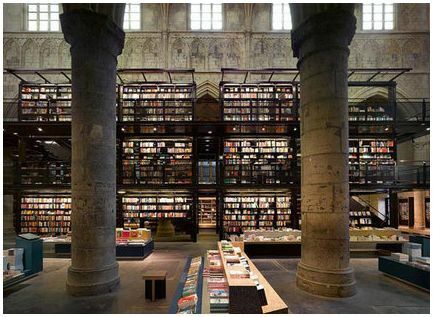 The price for the most beautiful book store in the world goes to Selexyz Dominicanen. 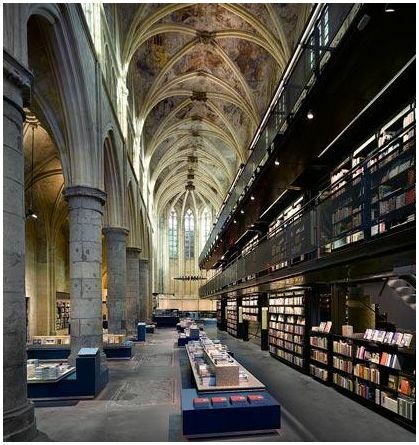 Because it’s located in a former church. 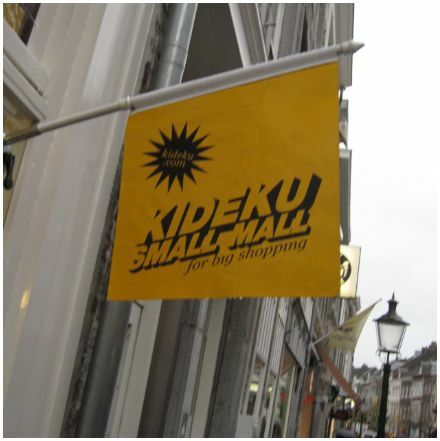 If your in Maastricht you really have to check it out. It will overwhelm you. Next to the books and magazines there’s a Coffeelovers corner where you can drink a cup of coffee.